A beautiful tribute to a remarkable lady. Thank you for sharing! 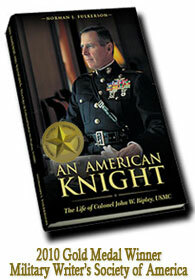 And Colonel John W. Ripley’s Marine Corps code of “Semper Fidelis” went to his beloved wife. Always Faithful.